We offer different types of oil with the possibility to personalize your packaging. It is a top grade olive oil synonymous with superior quality, with a very fresh flavour containing the majority of antioxidants and polyphenols. It is also more expensive and is normally used in dressings or to top off dishes, rather than for cooking itself. In order to comply with the standards of the International Olive Oil Council (IOOC), an extra virgin olive oil should be made from fresh olives processed quickly following harvest and the oil should be removed mechanically, without using solvents, at a temperature not exceeding 30 °C. It must not be mixed with other oils or orujo (leftovers from milling) and must pass the laboratory and flavour tests of the IOOC. 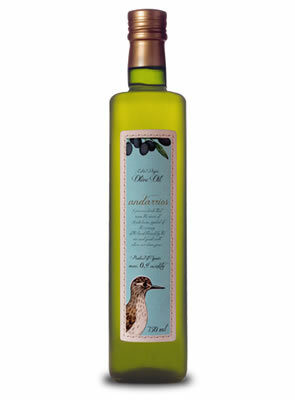 This is an intermediate-quality oil, generally found in Europe. It has certain flaws, such as having virtually no fruity flavour or a rancid or humid flavour, that renders its designation as extra virgin olive oil impossible. This is the olive oil that has been refined to remove flaws. Virtually odourless and tasteless, refined oil is mixed with a little extra virgin olive oil for flavour. 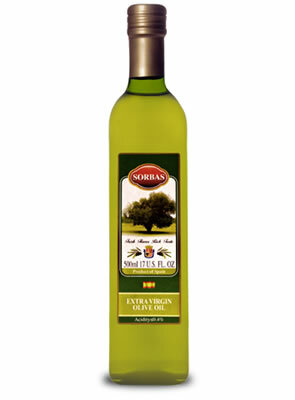 It is less expensive than extra virgin and a good choice for cooking dishes that don't require a strong olive oil flavour. This oil is the poorest quality oil in terms of its suitability for consumption. It is produced from excess residue from earlier pressed olive. It is refined using solvents and mixed with a little extra-virgin olive oil. Thanks to its nutritional and medicinal properties, the grapes and their seeds and leaves have been used for centuries in home remedies. Grape Seed Oil is an important source of polyphenols, flavonoids, essential fatty acids- linoleic acid, vitamin E, and oligomeric proantocyanidins. These components have used as treatments for many minor health problems. Sunflower oil, which is natural and healthy, is produced from sunflower seeds, which contain more vitamin E than any other vegetable oil. The oil is light in terms of taste and appearance, is a combination of mono-unsaturated and polyunsaturated fats with low levels of saturated fats. L&P Global, your source for olive oil, private labels, extra virgin olive oil, etc., started to import olive oil from Spain w/o private label to individuals, retail sellers, industries, restaurants and hotels in UK, USA, India, Canada, and other parts of the world since its inception in 1960s. Choose a bottle from our inventory and private label based on your requirement. Because of its patronage extra virgin olive oil producers in Spain, it is thus far a leading Spanish olive oil importer, exporter, provider and supplier. Looking for bulk olive oil supplier? 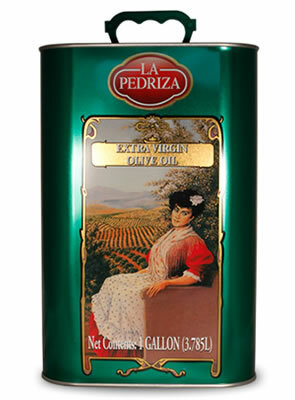 We can import extra virgin olive oil from Spain to anywhere in the world w/o private label service. Imported Spanish olive oil providers and suppliers, since 1960.